There’s something about this time of year that just makes me wants Mexican food. Is it because of Cinco de Mayo? Probably not. In fact, it is probably just that I always want Mexican food. It is a curse, but one that I hoped to find the cure for at Casa Reyna in the Strip District. You see, the Strip District is ethnic food central, so I figured it would have passable Mexican, especially considering Casa Reyna is an extension of a Mexican grocery store. It took me quite a while to figure out what to order, because the menu was nice and dense. No burritos, but there were definitely tacos and meats like lengua that you would only find in authentic Mexican spots. 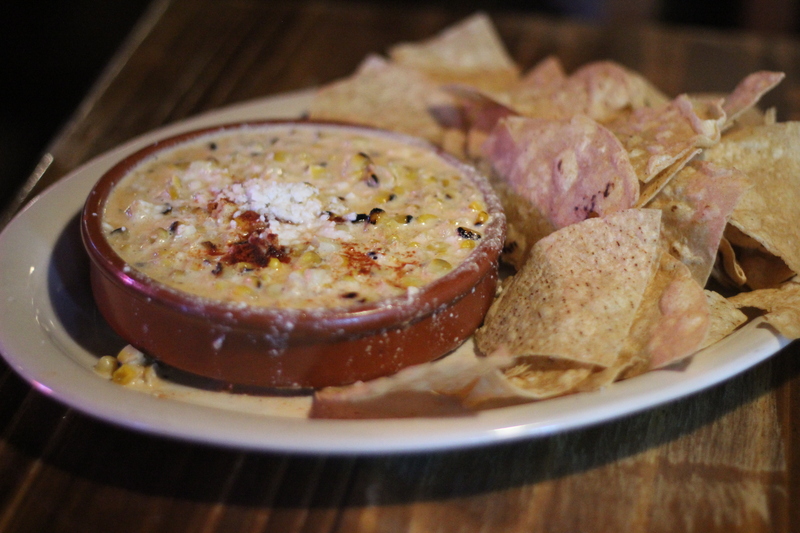 We started with some Elote Dip, which is basically a corn dip, mixed with mayo, lime juice, chili powder and cotija cheese. The chips are also corn, of course, leading to some intense corn-on-corn action. Casa Reyna put out a pretty decent version of elote, but sadly I compare all elote to Tinga and thus far none have come close. 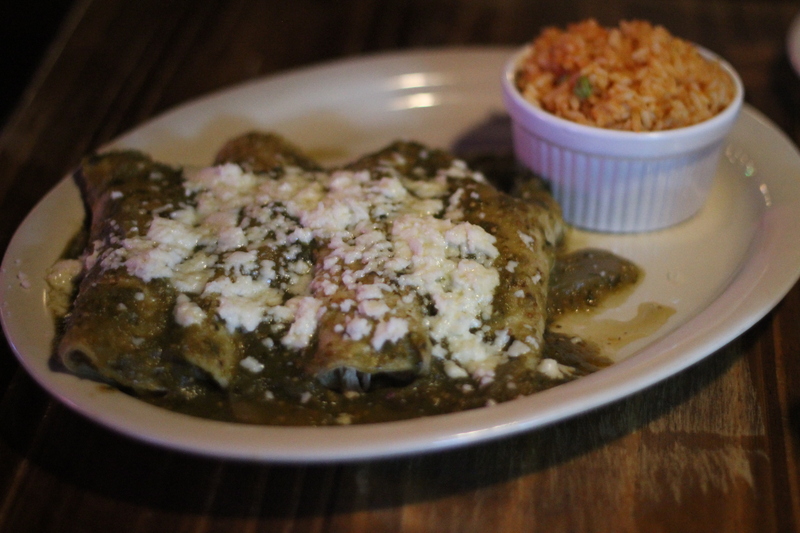 I opted for Enchiladas as my main course, and picked the verde sauce instead of mole. That’s pronounced mo-lay by the way, because the alternative sauce would have made the choice quite a bit easier. The enchiladas were stuffed with chicken and topped with cotija cheese with a side of Mexican rice. These came out quite nice and devoid of any invasive veggies. It was all chicken on the inside and all sauce and cheese on the outside. The chicken was moist, the sauce had a nice kick and all was well in the world. Now, as much as I enjoyed the food, it didn’t exactly blow me away. The Southwest and West Coast are pretty much littered with Mexican spots like Casa Reyna. They are the type of neighborhood favorites that aren’t worth going out of the way for, but great to have in your backyard. This is not meant to be a knock on Casa Reyna, because Pittsburgh is my neighborhood and if I want some decent sit-down Mexican, I know where to go.